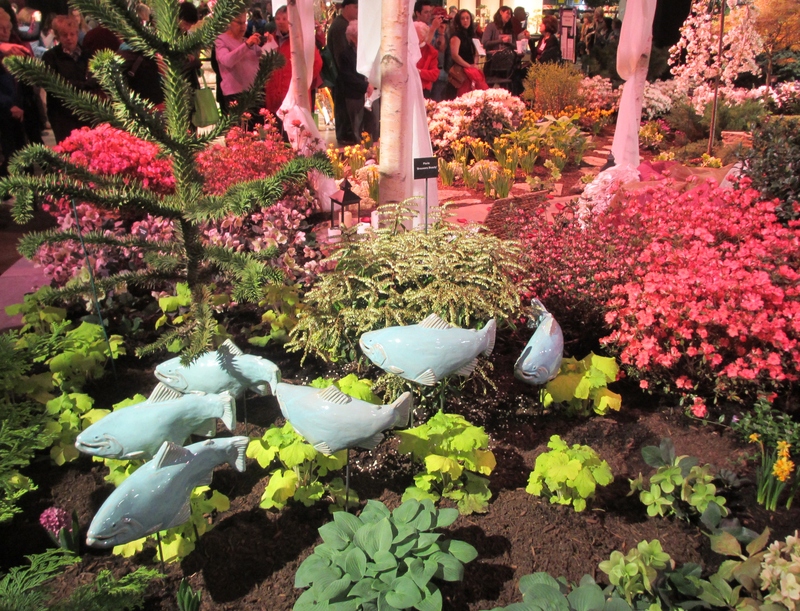 It’s been about 20 years since I last attended the Boston Flower & Garden Show. I finally returned for the 2014 show with my mom. We’re both glad that we made the decision to give this event another try. The vast array of exhibiting vendors was impressive. One of my favorites was the book area with titles like this! 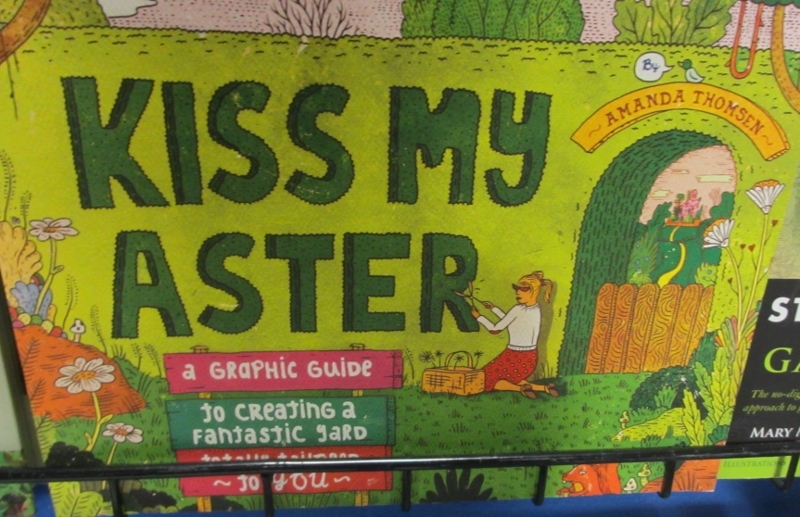 Great book titles, like this one, at the Boston Flower & Garden Show. This book was one of my first finds, but I was holding off on purchases at the start of the show. Unfortunately, I forgot to go back to pick up a copy. I think that I need to order one online for my own library. 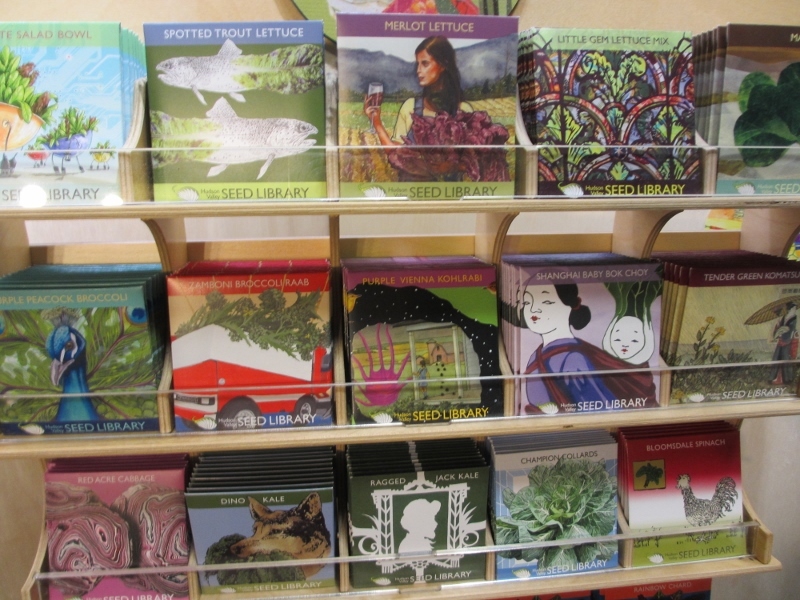 Loved the artistic packaging for the Hudson Valley Seed Library’s offering. One of my early blogs entries shared information about the peonies that have been in my garden for the past 40+ years. It’s always nice to add something new to the mix! 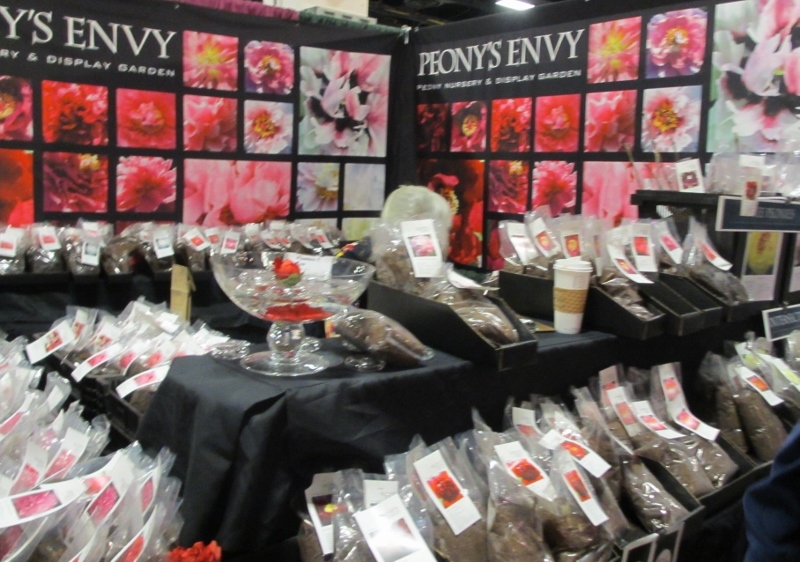 The new peony from Peony’s Envy is going to make my neighbors jealous! The highlight of our visit was the feeling of being outside in so many beautiful gardens, all under one big roof. Walking through these indoor gardens, on a cold Friday in early March certainly made it feel like spring. It also smelled like spring. So much so that a dose of Benedryl was required while walking through the expo. One of the more interesting and surprising landscaping themes was the inclusion of many outdoor bedrooms in the garden. 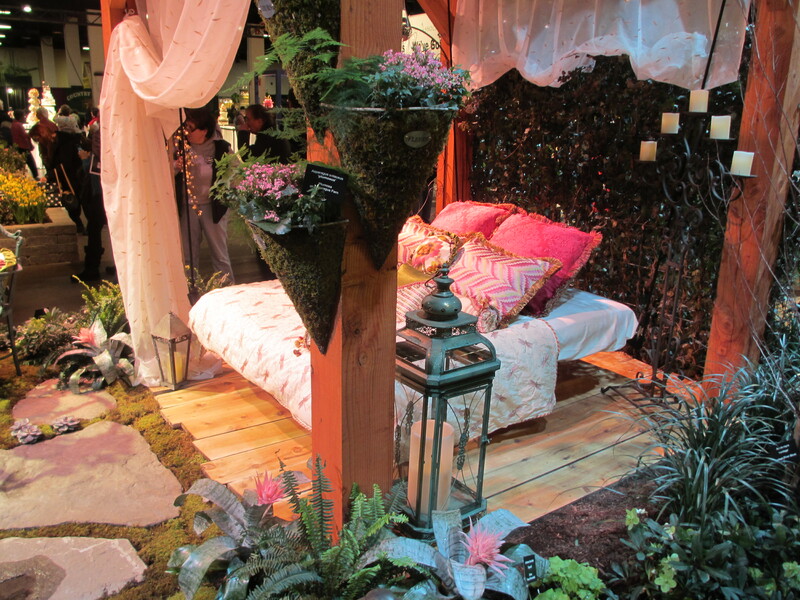 While this is far from practical (imagine mosquitos and other nocturnal critters crawling into your outdoor bed – it gives new meaning to bedbugs), it was fun to imagine and displays like this one fulfilled the overall show theme of ‘Romance in the Garden’! 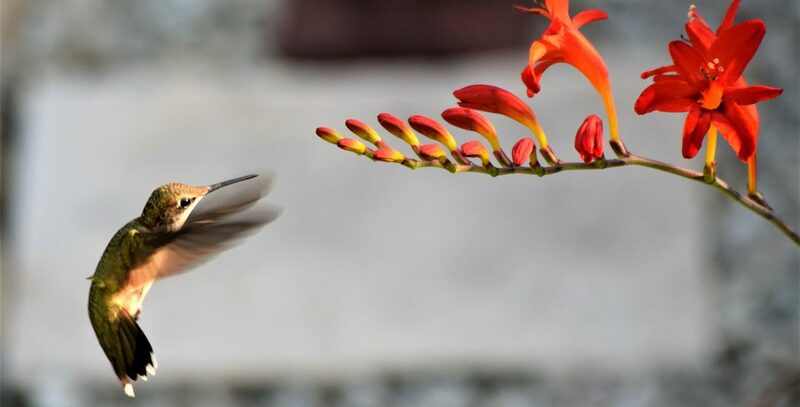 Sweet Dreams in the Garden. Something I wasn’t expecting to see was a landscape filled with ceramic fish, provided by a vendor called Fish in the Garden. There was discussion in this display area amongst other show spectators. We all thought that this garden looked like we were peering into an aquarium. Garden Aquarium – Just missing the diver, castle, and treasure chest. Gate posing as sculpture in the garden. 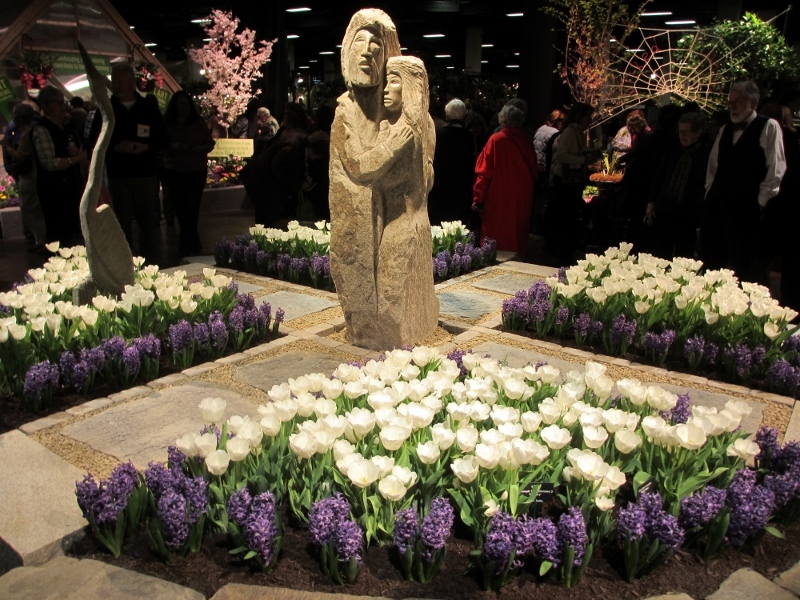 With spring only a few days away, our happy return to the 2014 Boston Flower & Garden Show provided a nice dose of hope and optimism, even for just a few hours, before returning home to my (still) snow covered garden. Back to Reality! 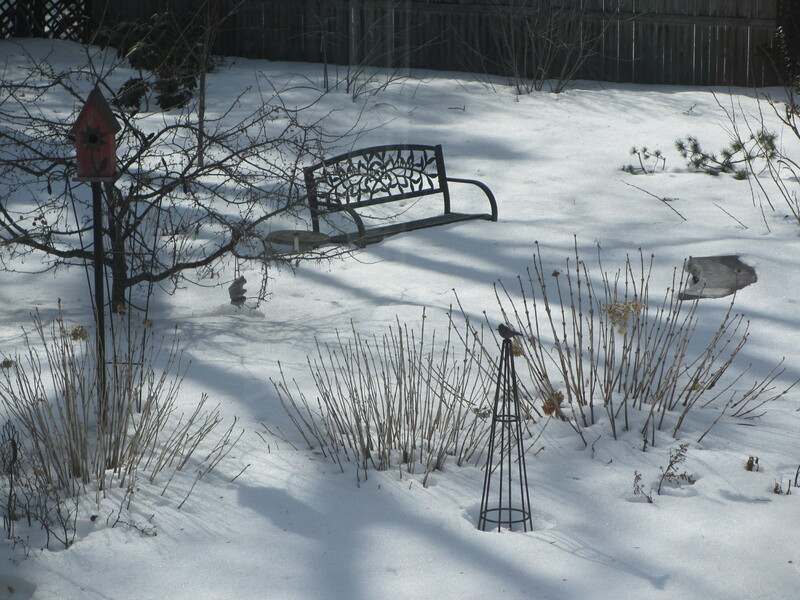 Garden is still covered in a thick blanket of snow. 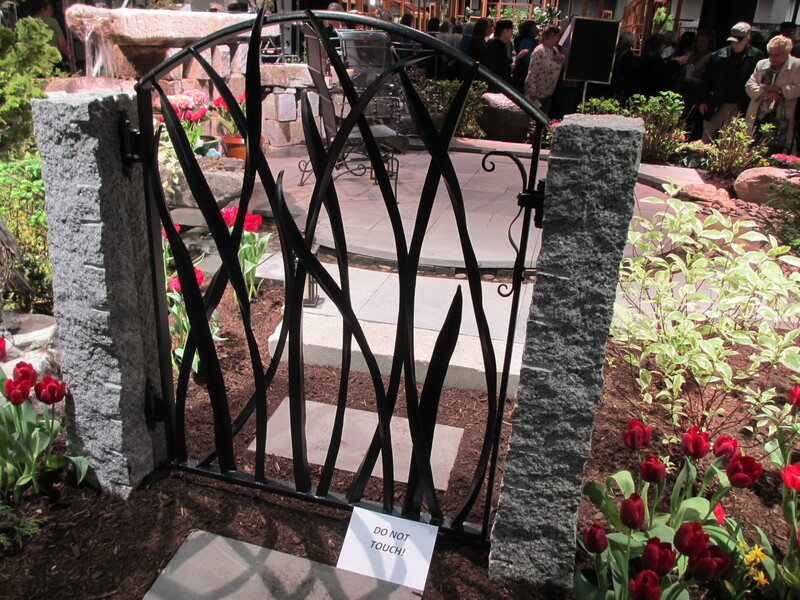 Categories: Gardening Inspiration | Tags: art, Boston Flower & Garden, Gardening, ideas, sculpture, Spring | Permalink.